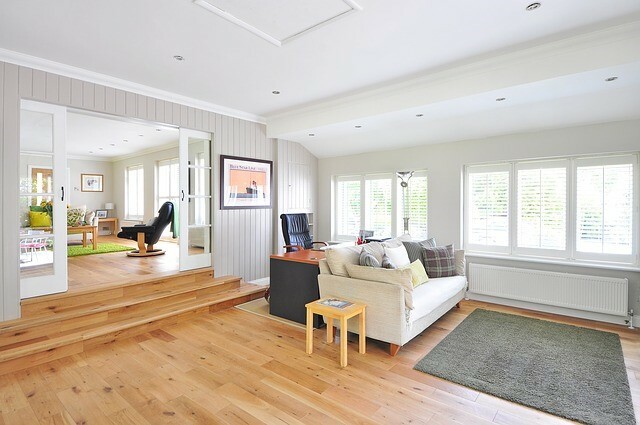 Whether it’s in preparation for selling your home, or just to remodel, a new floor can brighten your home. The most difficult thing is the sheer number of choices. Flooring technology has exploded in recent years. Be prepared to be “floored” by your options. 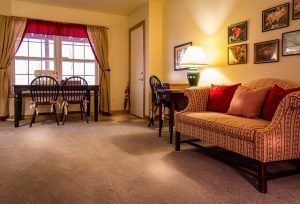 Carpeting still accounts for about 60 percent of the market on flooring. However, it isn’t just a matter of choosing shag or berber anymore. The trend is to go with lower pile heights because they’re easy to clean. However, besides wall-to-wall carpeting, rugs of various sizes are being used. People are buying large, full room-size rugs, as opposed to the standard 6 X 8 or 8 X 10 rugs. Colors are not as uniform, either. Everything from classic beige or grey to geometric designs, to splashy bright colors are being used. The big news, though, is that you can now get carpeting that is truly waterproof. The beauty is that it prevents any fluid from soaking through the rug and wicks it back to the surface fibers where it can be blotted up with a paper towel. That’s a homeowner’s dream come true! The variety in non-carpet flooring is nothing short of phenomenal. You can still find high quality wood, marble, and stone flooring. For years, flooring manufacturers have been striving to imitate these natural materials with credible look-alikes. Their recent success is simply amazing. The most popular material is vinyl. What used to be the “cheap” option is now sought after because of its quality. Vinyl laminate waterproof flooring is now available, giving tile a run for its money as the flooring for bathrooms. Patterns in floors are changing, too. Larger and varied sized planks are being used to create a more natural look. One bold trend is to use a diagonal pattern. This seems to be standing up as more than a fad. Owners are still happy with the effect after living with it for a decade or more. Here again, geometric patterns are becoming popular, as are herringbone and chevron patterns, but the jury is still out on their staying power. Another great thing about all these developments in flooring technique is that you can go green. Environmentalists will be happy to learn of all their options. Many of the natural floorings are made with wood from forests with strict standards of sustainability. Nontoxic cork, a renewable product, since it’s made from the bark of the cork oak tree and will regrow, is being used widely in linoleum. They’re making carpets with such things as corn sugar, and with fibers from post-consumer food and drink containers. What will give you a futuristic feeling is that a lot of the flooring is treated with a chemical which is then exposed to sunlight to make it “antimicrobial” or “antibacterial”. It oxidizes germs and speeds up the breakdown of pollutants. All-in-all it’s a great time to redo your floors. Here’s a link to an article from HGTV with much more information. 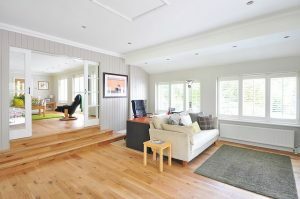 Some new flooring can increase the value of your home. Let us know if you’re interested in listing or buying a home in the York County area, and we’ll be ready to help. The Jim Powers Team of local Realtors® is here for you from start to end. Visit our website to learn more, then contact us or give us a call at 717- 417- 4111.